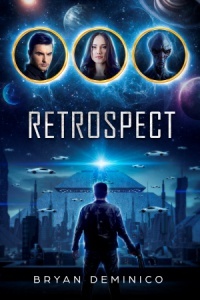 Retrospect takes place in a unique future galactic setting. A subtle political and sociological backdrop adds intrigue throughout the story. Racial tensions are examined, as well as political issues seen in today's news now projected into the author's fantastic Science-Fiction world. In the year 3421, human, novus, and alien races coexist. At the heart of this existence, the United Planetary Congress forms the foundation of political theater. The Galactic Interpol Society must now investigate RETROSPECT, a set of stolen codes capable of crippling a newly developed artificial earth planet. Agent Jonah, one of the society’s top-priority agents, must immerse himself within the violent political shadows surrounding RETROSPECT while fighting off novus terrorists, a rogue galactic agent, and a powerful political figure. It's James Bond meets the future - Agent Jonah must save Planet Atlas from an evil politician's plot to use RETROSPECT. 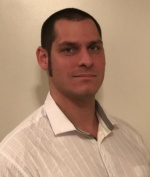 Bryan DeMinico is an Army ROTC Distinguished Military Graduate who served two tours in Iraq in support of Operation Iraqi Freedom. A born Floridian, he played trumpet in the Broward Community College jazz band and was a P'an Ku literary arts magazine staff member, beginning catalysts for his creative side. After nearly 10 years in the United States Army as an Armor Officer, he transitioned into civilian life. Continuing his love for writing and creativity, he set forth a personal journey to complete his first novel.